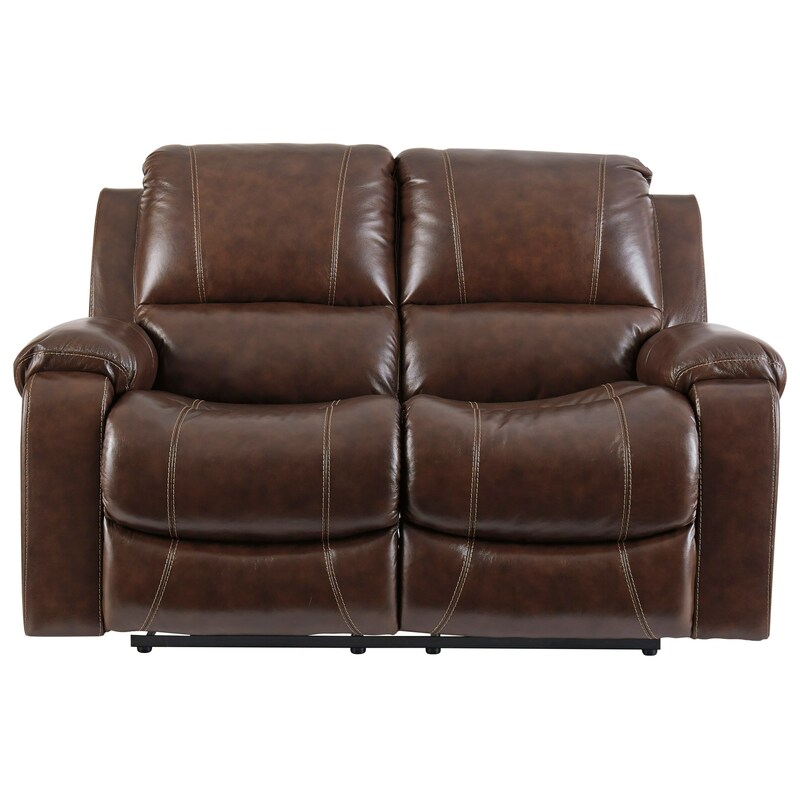 This comfortable, power reclining loveseat features a plump bustle back and its ottoman recliner is padded for an extra touch of coziness. Jumbo luggage stitching and pillow top tack arms add a relaxed and inviting look to this piece. Placed in your entertainment area or family room, this loveseat will be a favorite for years to come. The Rackingburg Reclining Power Loveseat with Bustle Backs by Signature Design by Ashley at Miskelly Furniture in the Jackson, Pearl, Madison, Ridgeland, Flowood Mississippi area. Product availability may vary. Contact us for the most current availability on this product. The Rackingburg collection is a great option if you are looking for Casual furniture in the Jackson, Pearl, Madison, Ridgeland, Flowood Mississippi area.